transcosmos inc. (Headquarters: Tokyo, Japan; President and COO: Masataka Okuda), on August 7, 2018, released its proprietary service “Harapeco Bangohan (“Hungry, let’s have dinner!”)” as a new skill for “Clova”, an AI assistant offered by LINE Corporation (Headquarters: Tokyo, Japan; Chief Executive Officer: Takeshi Idezawa). “Harapeco Bangohan!” helps anyone who has trouble coming up with everyday dinner menus. Just by saying “Clova, open “Harapeco Bangohan!” and “give me some menu ideas for tonight”, the service comes up with dinner menu suggestions from as many as 145 main dishes and 55 side dishes. What’s more, users can also get suggestions for “one more dish” (a side dish or soup) from “Japanese”, “Western”, “Chinese”, and “Korean” cuisines by simply saying “Clova, open “Harapeco Bangohan!” ” and “give me some ideas for one more dish.” With this new hands-free service, users can get dinner menu ideas - which isn’t as easy as you think - whilst taking care of household chores and their kids, without the use of a smartphone, a must-have item before. Users can start the service simply by selecting “Harapeco Bangohan” at LINE Clova in-app skills or using voice command to activate the app by saying “Clova, start Harapeco Bangohan” directly to Clova compatible devices. *If LINE Clova app is not installed, users will be redirected to the app store to download the app. 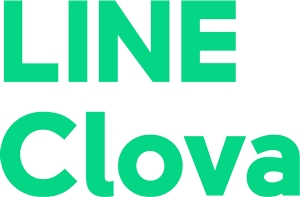 Please note that LINE Clova is not available on PCs. Please access LINE Clova from your smartphone. 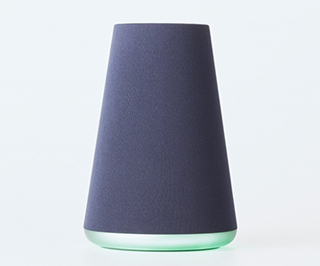 LINE first announced its Clova AI assistant at the March “Mobile World Congress 2017” and, in October 2017, began officially selling the Clova WAVE smart speaker – the first Clova-powered device. 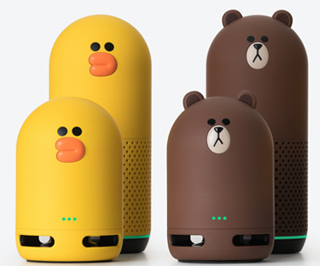 “Clova Friends”, the second device designed after LINE characters Brown and Sally, launched in December of the same year, followed by “Clova Friends mini” that comes in an even more compact size this June. A wide range of Clova skills are also being developed, including streaming music, playing the radio, reading aloud the news, and weather report, allowing users to send LINE messages using voice control, and making free calls, and the skills are continuously being improved every day. LINE will continue to actively take in user feedback as LINE Clova makes users' day-to-day lives even more convenient and enjoyable as a “growing speaker”. transcosmos launched its operations in 1966. Since then, we have combined superior “people” with up-to-date “technology” to enhance the competitive strength of our clients by providing them with superior and valuable services. transcosmos currently offers services that support clients’ business processes focusing on both sales expansion and cost optimization through our 173 locations across 33 countries with a focus on Asia, while continuously pursuing Operational Excellence. Furthermore, following the expansion of e-commerce market on the global scale, transcosmos provides a comprehensive One-Stop Global E-Commerce Services to deliver our clients’ excellent products and services to consumers in 49 countries around the globe. transcosmos aims to be the “Global Digital Transformation Partner” of our clients, supporting the clients’ transformation by leveraging digital technology, responding to the ever-changing business environment.